Set aside 6 stalks of asparagus (you will broil these for a topping). 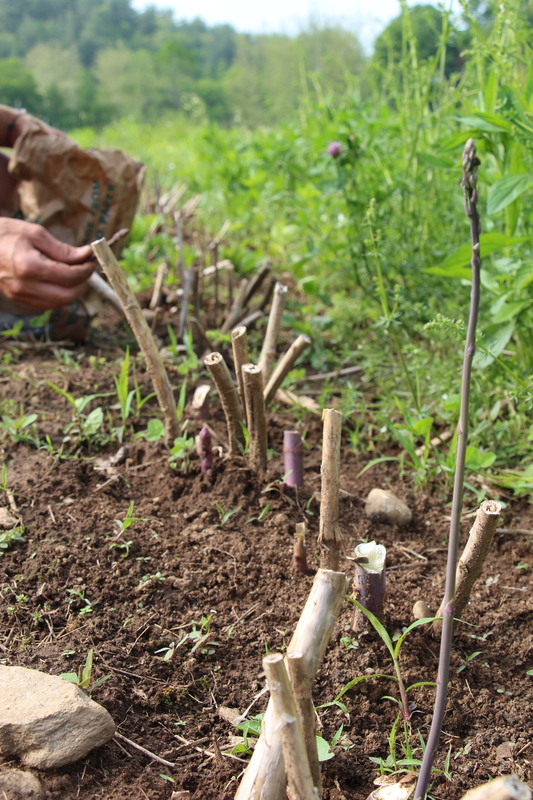 Chop the rest of the asparagus stalks and divide into two piles. It would be good if one pile had nicer pieces such as the heads and slim stems and the other pile had the chunkier stalks. Make sure you have about 3 cups of chunkier stalks which you will use to make the sauce. Start to cook the pasta. When it is almost cooked, but has maybe 30 sec – 1 min left to be fully cooked, add the pile of nicer pieces (heads and slim stalks). Let this cook for about 1 minute. The goal is to cook the asparagus until it is bright green and tender, but not so much that it starts to lose its color. If you haven’t already, steal about a cup of water from the pot and set aside, you will use this in the sauce. Then, after about a minute or when the asparagus is bright green, drain the pasta asparagus mixture, rinse with cold water, and set aside. While the pasta cooks, you can start cooking the sauce. 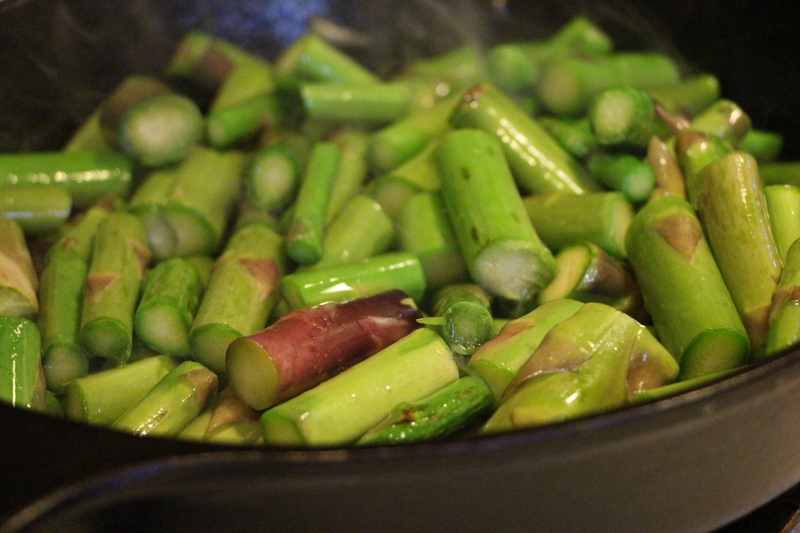 Start by braising 3 cups of asparagus stalks: sauté the asparagus on high heat until it browns. 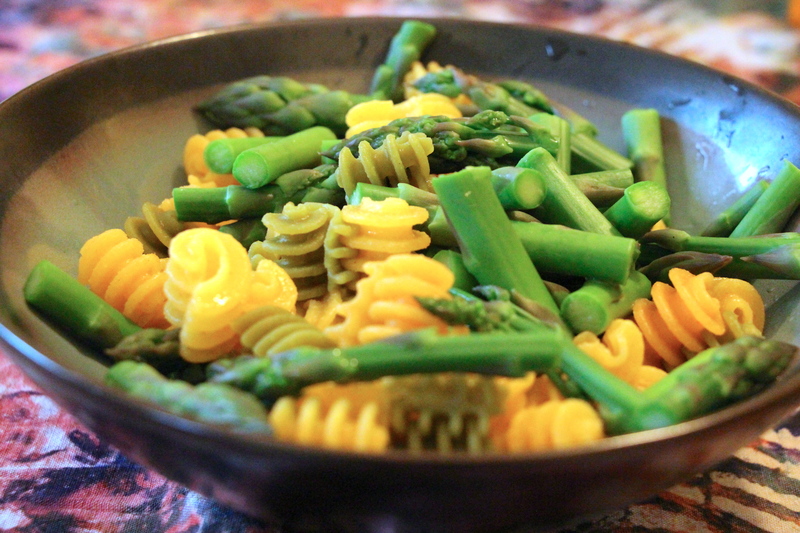 Then add about a cup of water from the pasta pot and continue to cook until tender, about 5-10 minutes. Combine the braised asparagus with the rest of the ingredients (minus the toppings) in a food processor and puree until smooth. While this is happening, drizzle some olive oil over the 6 reserved whole asparagus pieces. Broil these in the oven until crispy (but not burnt). Chop, and leave with the extra minced sun-dried tomatoes (this will be a topping). 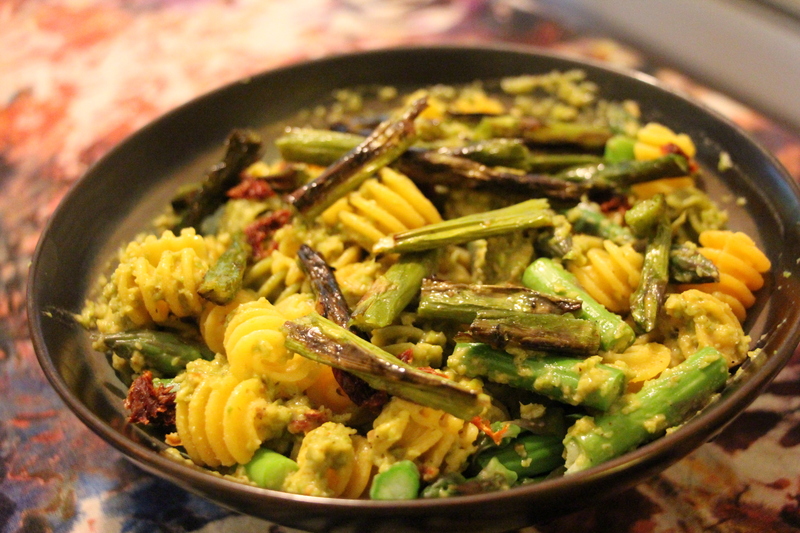 Finally, combine the cooked pasta and asparagus with the sauce and top with broiled asparagus pieces and minced sun-dried tomatoes. Enjoy! Below: Fred harvests the last of the asparagus from Riverbank Farm. 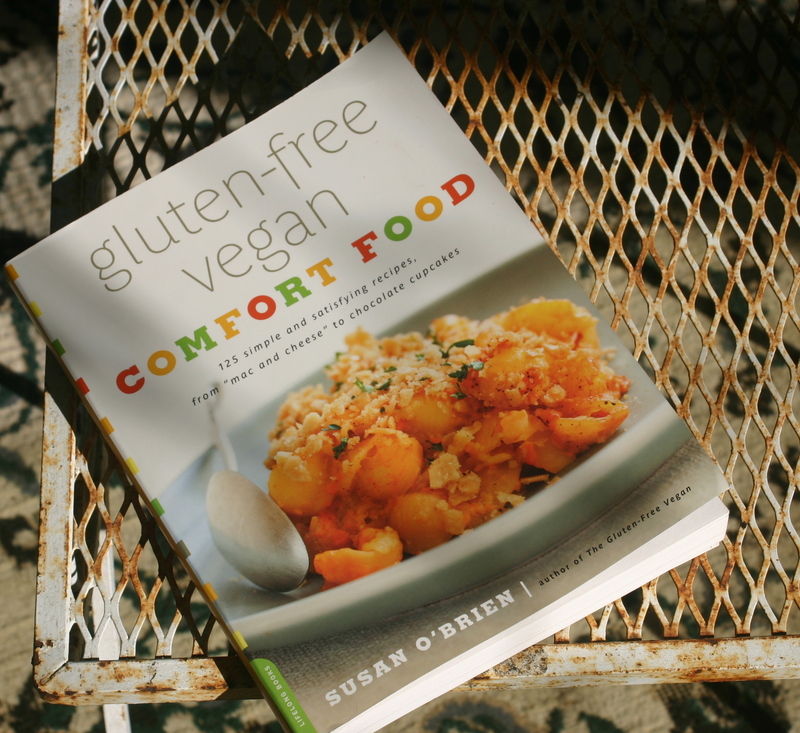 Da Capo Press recently sent me a free review copy of Susan O’Brien’s latest cookbook: Gluten-Free Vegan Comfort Food. Thrilled to have a new cookbook to play with while home on vacation, I’ve been enjoying reading the book and trying out her recipes. 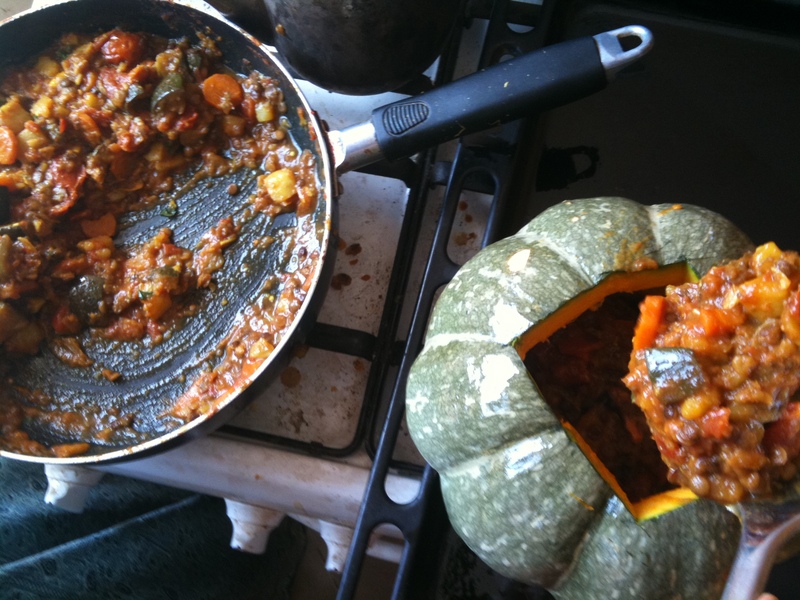 This will be a bit of a long post, but if you scroll to the end there is a tasty recipe in store! In her introduction Susan O’Brien says in writing this book she hopes to give us all inspiration to get creative, use her recipes as a starting place and then alter them to suit our needs, and I think that’s exactly what she has done. She provides 125 recipes spanning all meals and moods of the day from breakfast to ethnic food, family favorites, and desserts. For someone new to gluten-free vegan eating, this book could be a resource to help you find your footing as you think “so what can I eat?”. Not only is everything in the book gluten-free and vegan, O’Brien is also sensitive to other allergies. Meaning, while you will find some recipes with nuts and soy, she mixes it up so there is something in there for everyone. For us veterans, it is always nice to read a quick book of food dedicated to what we like. I did find myself altering many of the recipes, but I enjoyed having them as a base to work from. In the front of her book, O’Brien also gives us a nice run down of the different ingredients she uses in the cookbook and how she stocks her kitchen. My favorite part of this is the explanations behind different types of sweeteners, milks, wines, and the inclusion of places to go for more research on hot topics such as the pros and cons of agave nectar. 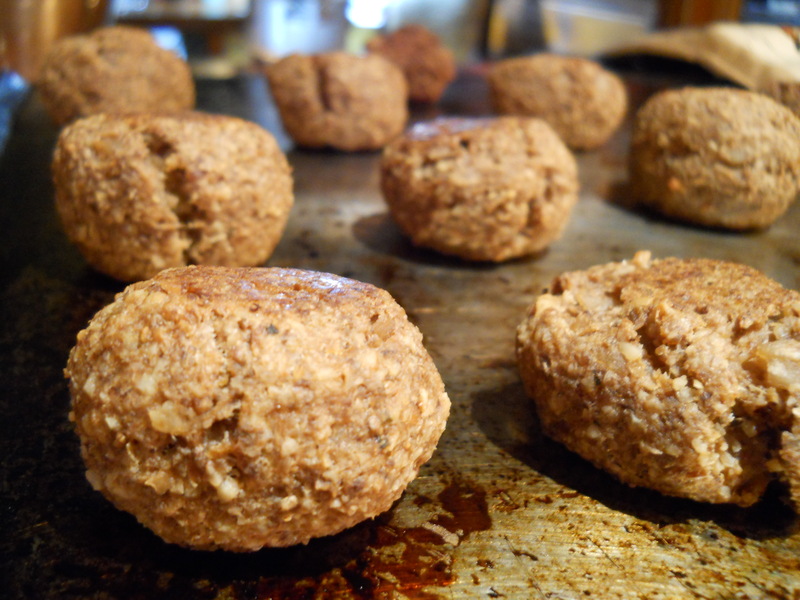 In her explanation of the vegan diet, she focuses on ways for vegans to find enough protein. Although useful, I think this reinforces the stereotype that most people have towards vegetarians — that they will be lacking in protein. Honestly, in my experience, if you are eating a healthy diet you are getting enough protein — check out this article for more information. She doesn’t mention how vegans might need to try extra hard to make sure they have enough B12 in their diet. However, I am sensitive to this issue since I personally struggled with a B12 deficiency when I first switched over. But now, to the most important part of any cookbook: the recipes. So far, I’ve had a chance to try out five of her recipes, and I will review them here. The first recipe I tried when receiving this book was her Millet Bread (pg. 101). 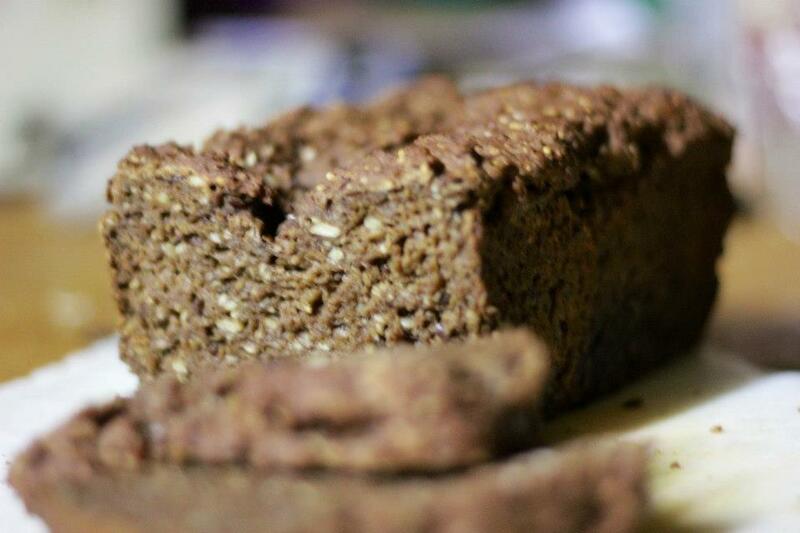 I have found gluten-free vegan bread incredibly difficult to make, and was excited to see that O’Brein has a recipe for bread that requires kneading! I called up my friend and master bread maker from The Hungry Griffin to share my excitement and she came over to help me make it. 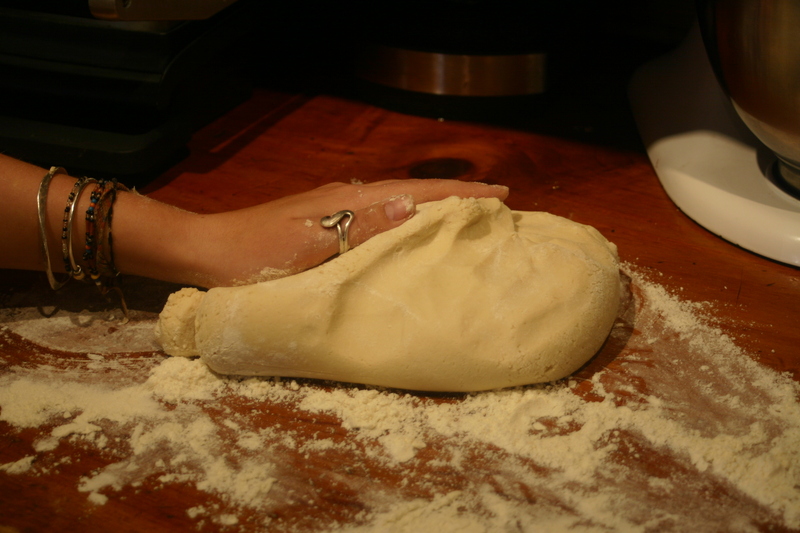 The bread showed much promise in the beginning stages — it blended into a nice dough, was kneadable, and even rose beautifully. Unfortunately, the final outcome was disappointing The bread was a bit gooey on the inside, but I would have been afraid to let it cook longer. The texture, even near the ends where it wasn’t gooey, was dense. Plus, the flavor was a bit off. Anyway, I won’t be trying to make this bread again anytime soon. 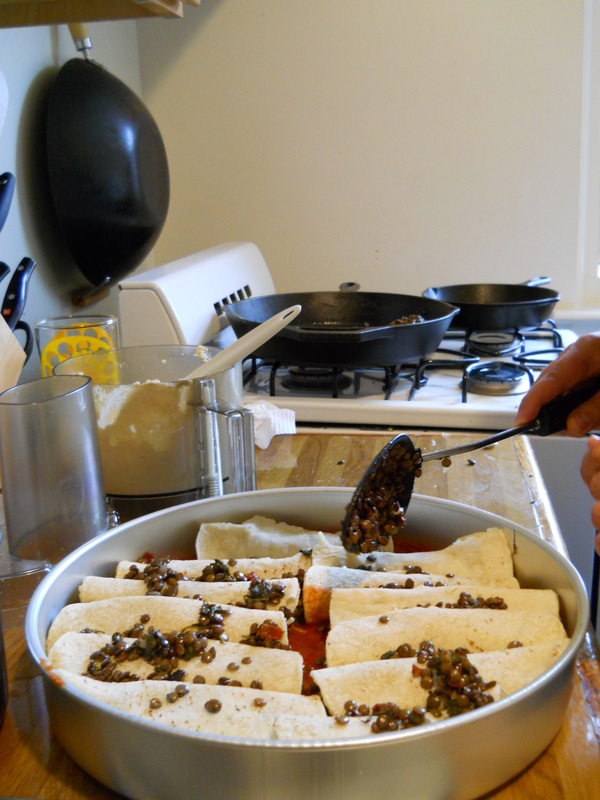 The second recipe I tried was her Spinach Lentil Enchiladas (pg. 156). I couldn’t find any commercial vegan cheese at the Trader Joe’s in New Jersey, so I made some without any cheese at all, and the other half I used a nut ricotta on the tortilla before adding the filling. The half with no cheese at all was not very tasty, however the side with the nut ricotta was wonderful. I had some difficulty with the lentils — she says to simmer for 20 minutes or until the lentils are ready. After 40 minutes ours were still a bit crunchy, but I realized she didn’t specify what type of lentil so possibly we were using a crunchier kind. 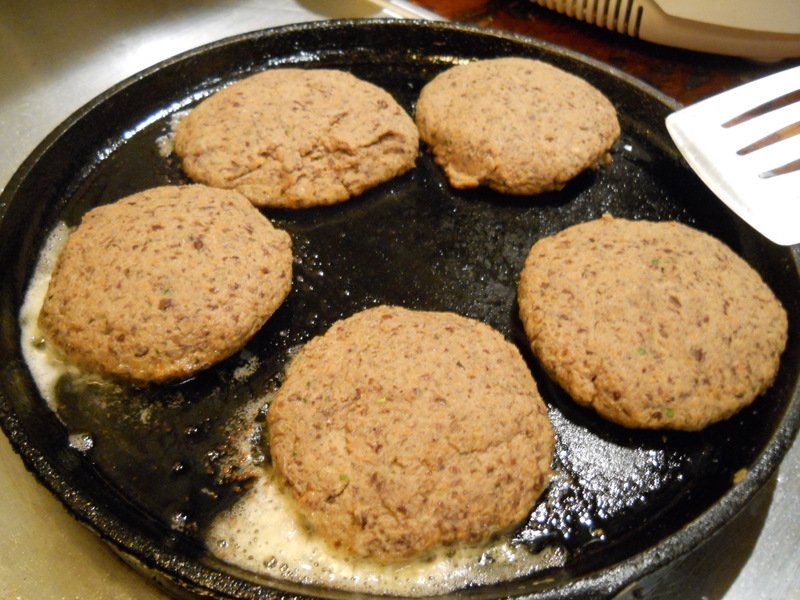 Next, I tried O’Brien’s Black Bean Burgers (pg. 128). I really liked these. I decided to serve them smothered in onions and mushrooms with a cucumber avocado salad on the side, and it was a perfect dinner! 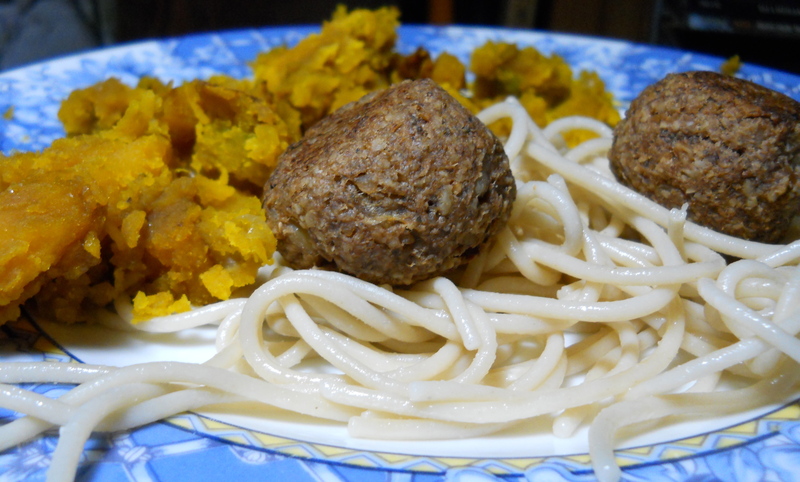 My fourth recipe was her Meatless Meatballs (pg. 139). These were amazing! Even my meat eating family wanted in on the action. She says that her recipe is for 6 meatballs, I was able to make 12 medium meatballs with this much food. Next time I might even make them a bit smaller. 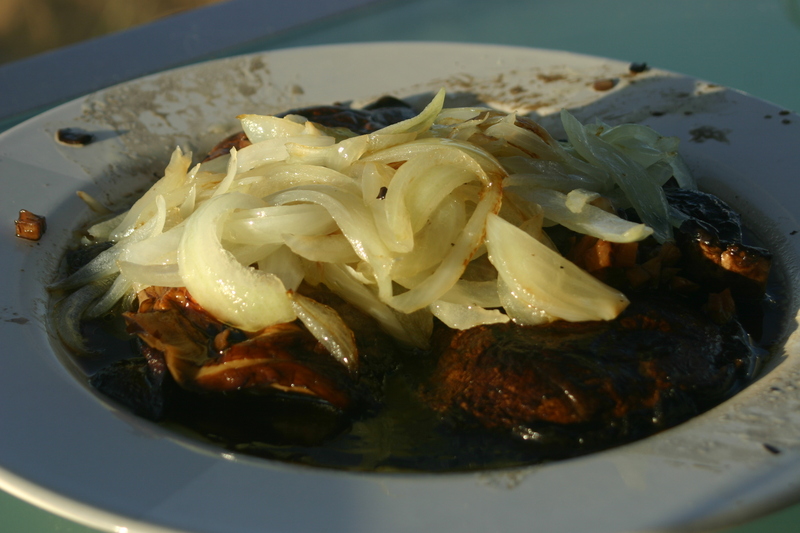 Finally, my favorite recipe of the book so far is O’Brien’s Portobello Mushroom Steak with Smothered Onions (pg. 140). 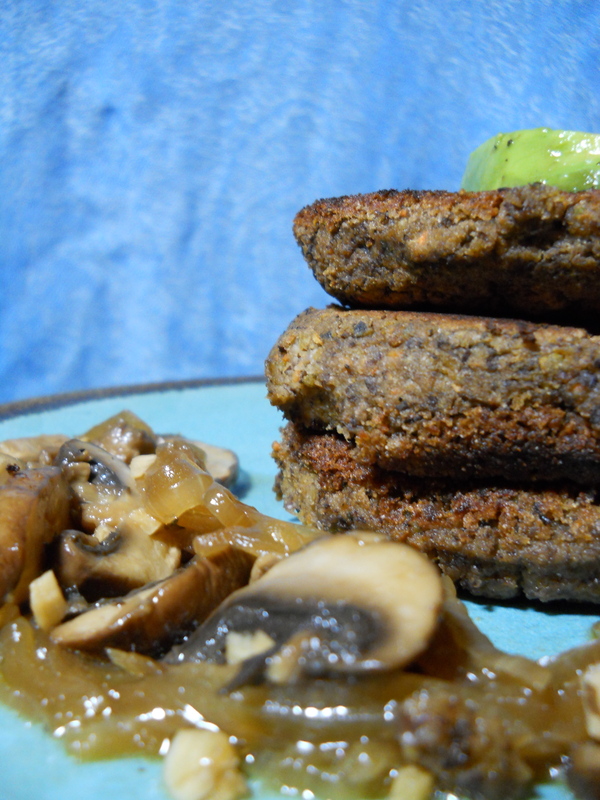 I highly recommend this recipe, it was a winner with all of the mushroom eaters in my family. And, as a bonus, Da Capo Press was generous enough to let me share it here with all of you today! 1. In a casserole dish large enough to hold all four mushrooms mix together the extra virgin olive oil, red wine, garlic, tamarind sauce, molasses, balsamic vinegar, salt, and pepper. Whisk the mixture together well. 2. 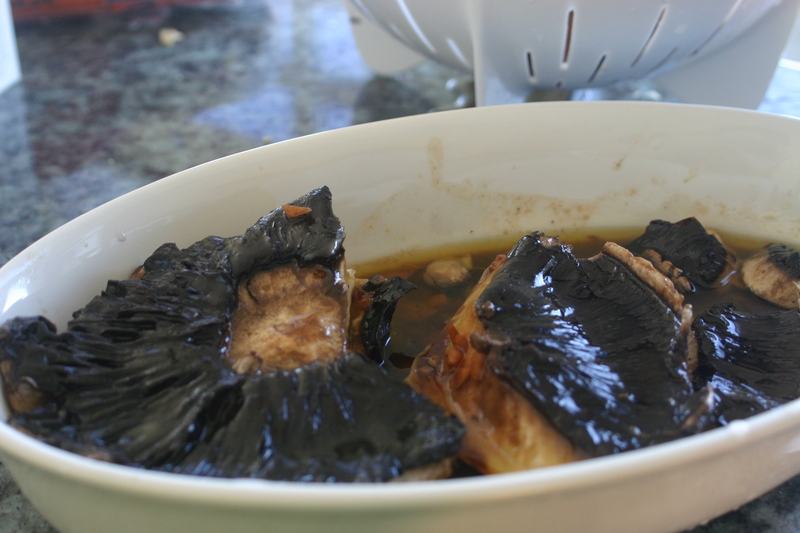 Add the mushrooms to the marinade, gill side up. 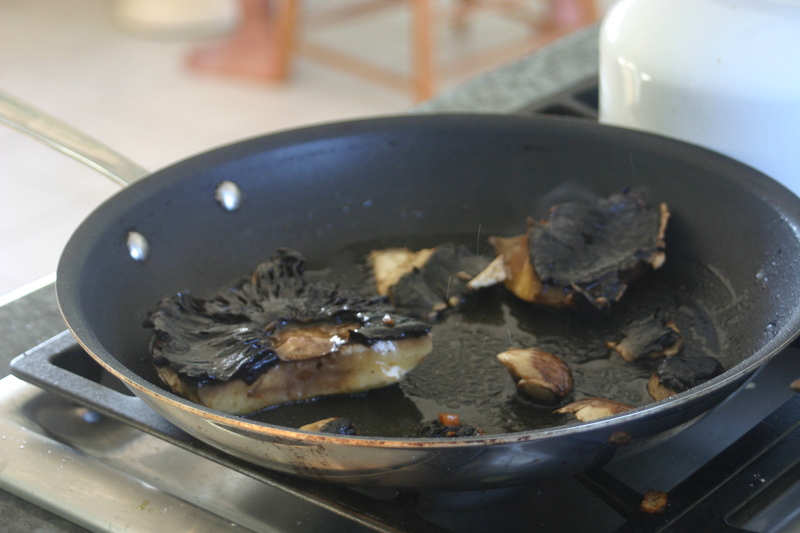 With a spoon, drizzle some of the marinade over the top of the mushrooms and let sit for about 15 minutes. Flip the mushrooms over and marinate on the other side for another 10 to 15 minutes. 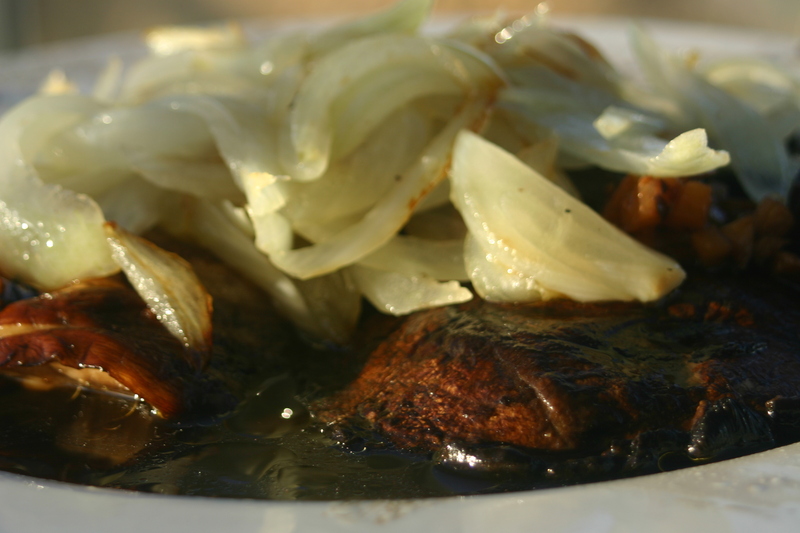 Do not discard the marinade when you grill the mushrooms, as you can use it as a sauce to finish the dish. 3. Heat a large skillet to medium-high, add a small amount of olive oil and saute the onion until soft and lightly browned, about 8 to 10 minutes, stirring often. If the onions begin to stick to the skillet, add a bit more oil, or some veggie broth. 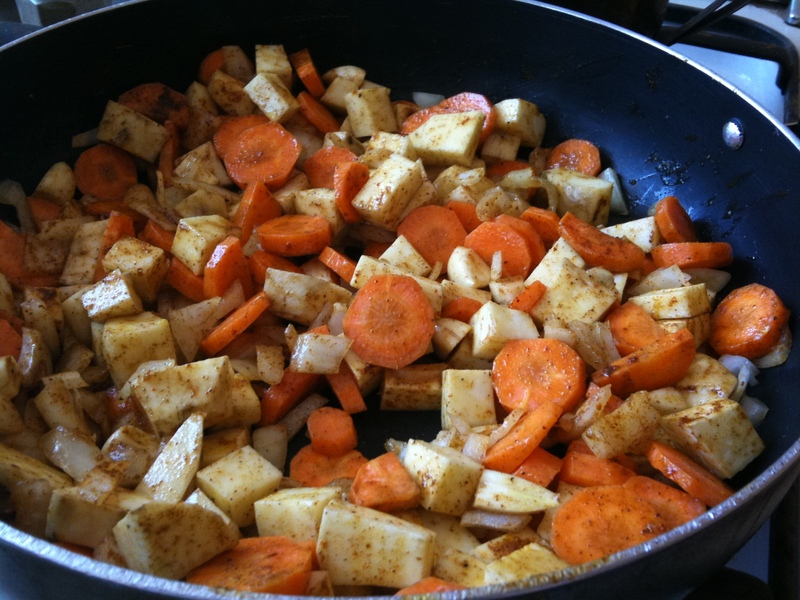 If the onions do not all fit in your skillet, then saute them in batches until they are all cooked. You want to end up with nicely browned onions that will be draped over your mushroom steaks. 4. Heat a barbecue grill to high heat and when hot, set the mushrooms on the grill. Cook on each side about 3 to 5 minutes. The mushrooms will release their juices when they are cooked. Be sure they are fully cooked, but not mushy. 5. If you wish, you can heat the reserved marinade in a saucepan to medium-high heat. 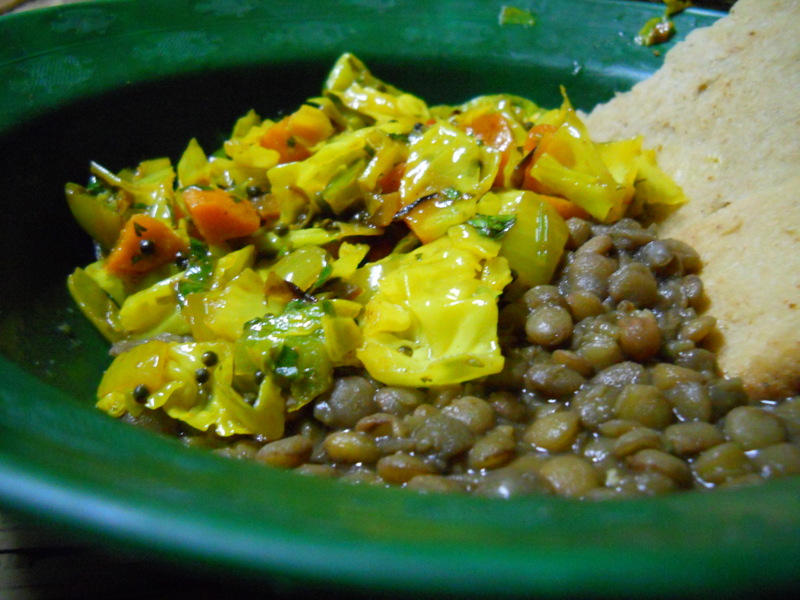 When the sauce comes to a boil, add n 1 tablespoon arrowroot powder and whisk briskly to incorporate. Reduce heat to low and cook for a minute or 2 until the mixture thickens slightly. You do not need to do this step if you don’t want to; the marinade is great drizzzled over top of the mushrooms just as is. I didn’t have a barbecue, but grilling them on the stove worked well too. I served this with fried squash and zucchini — what a great meal! In conclusion, this is a fun book to get creative with. 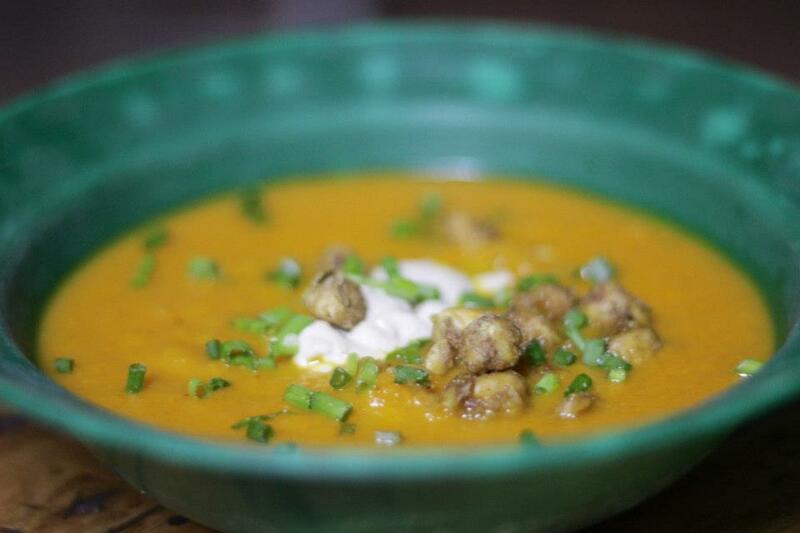 Although some recipes are off, others will knock your socks off. While I don’t trust the recipes enough to cook a blind meal for guests using this book, I can see I am going to try most of these recipes out because there are some real gems here. If you’ve made it this far, I would like to note that Da Capo Press sent me a free copy of this book but the views expressed here are my own. In no way was I pressured or encouraged to write a certain way. If you are interested in more about this book, check out this great review I found. I really enjoyed this pasta free manicotti, however the spinach flavor was a little too strong for my tastes. I think next time I will cut the spinach filling in half and then use some nut ricotta to add to the filling. 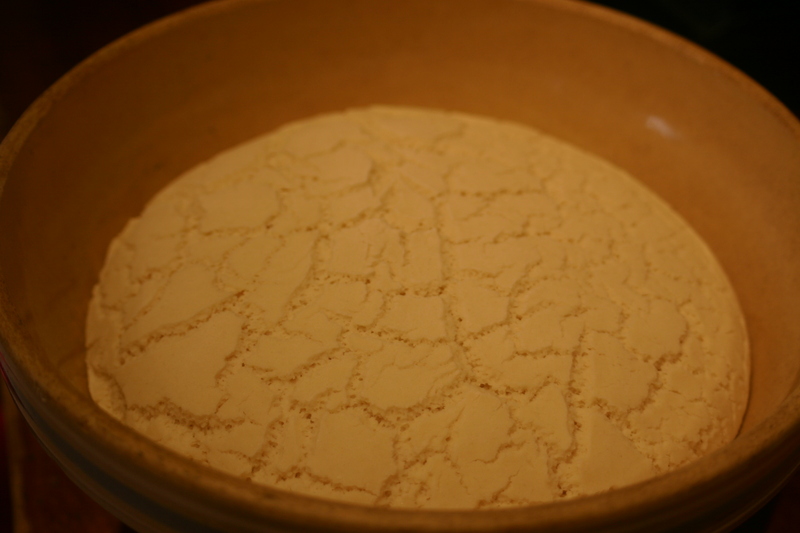 Instead of whole wheat flour, use some all purpose gf flour.